Whistleberry Road, Hamilton, Lanarkshire, Scotland. ML3 0EJ. Portable and modular buildings for sale or hire ANY building you want, delivered on time and on budget, up to 50% faster than a conventional building - that's the beauty of portable and modular buildings from Portakabin. 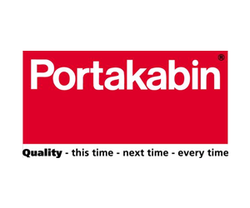 Whatever building you need, no matter how large or small, whatever the end use, Portakabin can supply it. Portakabin modular buildings and portable buildings are the ultimate, versatile, sustainable building. Our modular building systems enable us to create buildings of any size, with multiple storeys, for up to 1,000 people or more. Our services include Cabins and temporary accommodation, Eco toilets, Effluent tanker services, Event Toilets, Festival toilets, Fresh water tanker services, Furniture, Luxury mobile trailer toilets, Mobile Kitchen units, Modular buildings, Portable male urinals, Portable showers, Portable toilet blocks, Self contained mains toilets, Single portable toilets, Site toilets, Temporary kiosks and sales offices, Temporary sleeper units, Themed Toilet Trailers, Third party servicing, Urinal Block, Wash stations, Waste holding tanks and servicing, Water bowsers and pumps, Water delivery, Wheelchair accessible toilets. We supply Luxury Toilet Manufacturers, Portable Toilet Manufacturers, Cabin Manufacturers, Welfare Unit Manufacturers, Water Treatment Suppliers.